Sportcar Motion had a record setting year in 2011. 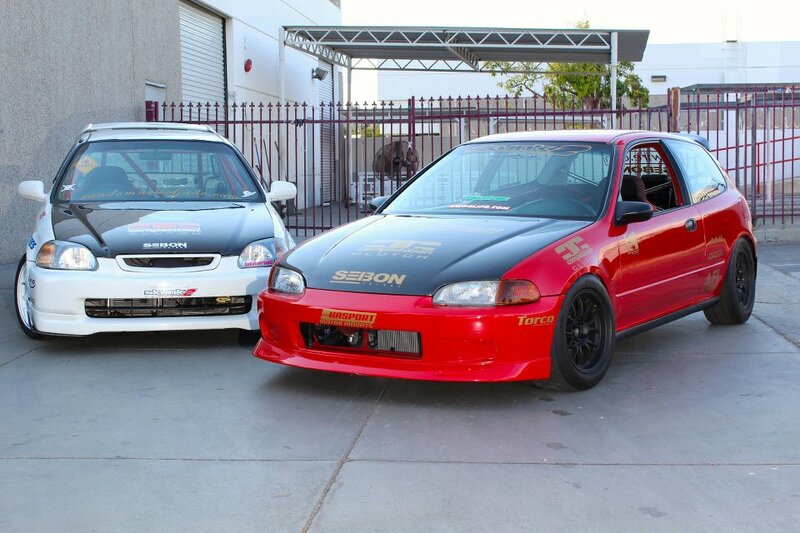 We ended the year with a record setting win at Super Lap Battle with the Integra Type R. This is after we took home our win with the Civic Type-R at the Super Street Magazine FF Battle. 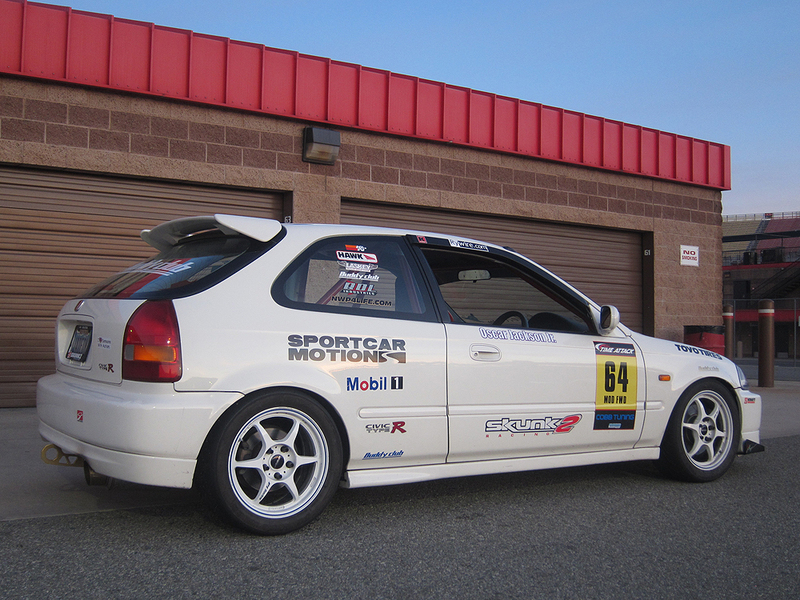 Our newest project drag EG at Sportcar Motion was 90% completed in 2011. We ended the year with the EG on the front cover of the November issue of Honda Tuning Magazine. We learned a lot this year about the ITR. 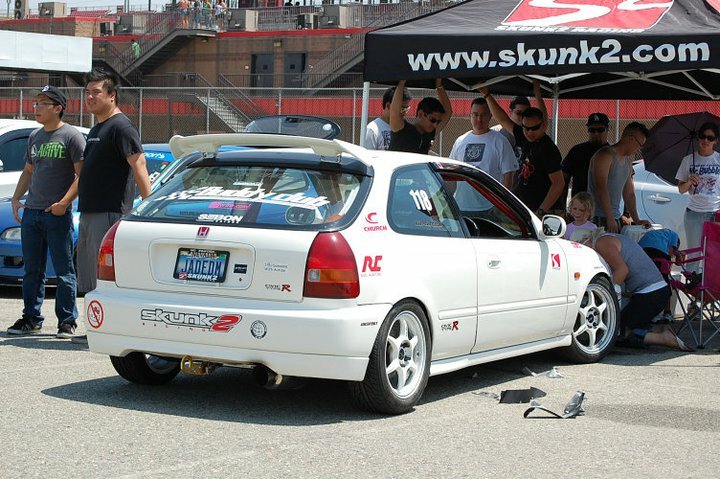 We ran this past year with our Kraftwerks supercharger on the car, stepping up the power to 400+HP. This was quite the handful with this large amount of power to the wheels. 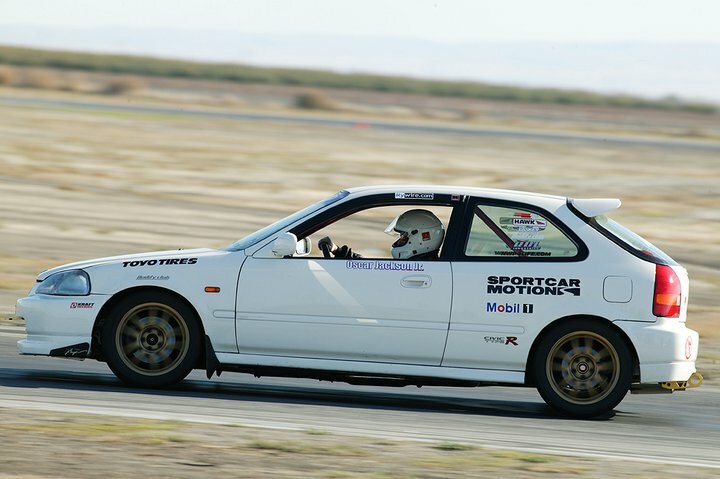 We spent majority of the year getting the car all squared away and finding out what the ideal tire, wheel, and aero combination was for the Integra. 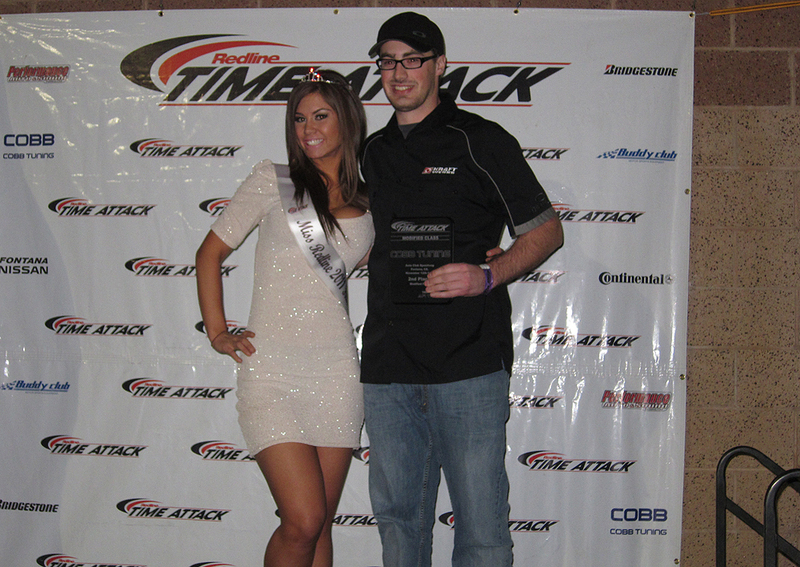 We ended 2011 as the champion of the Modified FWD class in the now retired, Redline Time Attack series. 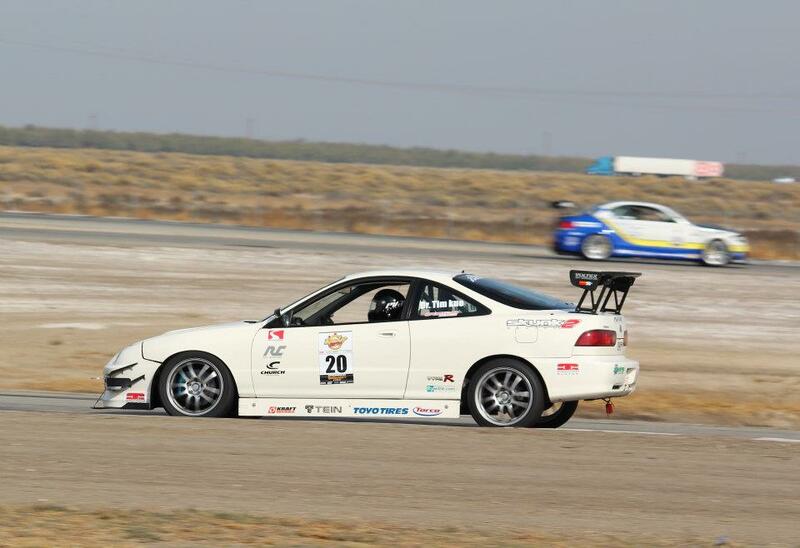 We were delighted to close out of season with a win and new track record for Buttonwillow Raceway at the Super Lap Battle final. 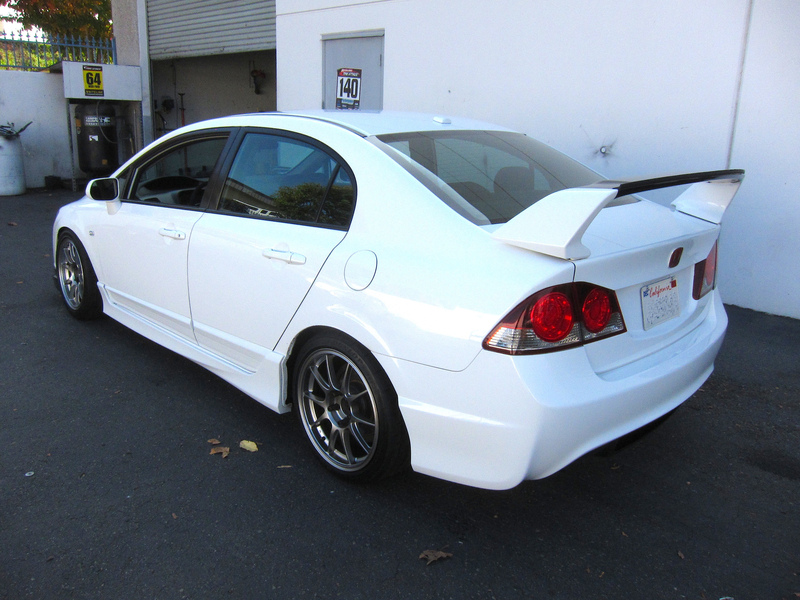 For 2012 the ITR will be going under the knife for a new aero setup including a new dry carbon splitter, canards, and rear diffuser. We will also be running a new reverse staggered wheel setup allowing us to run a 255-275 wide tire. We are also running more compression on the newly refreshed motor, along with a new port matched throttle body and intake manifold. We also refreshed our Kraftwerks supercharger with a new Rotrex unit, this time we are running a new C38-91 Rotrex unit. This new unit will provide us with additional power on the track. We will have close to 450 HP with this new unit. 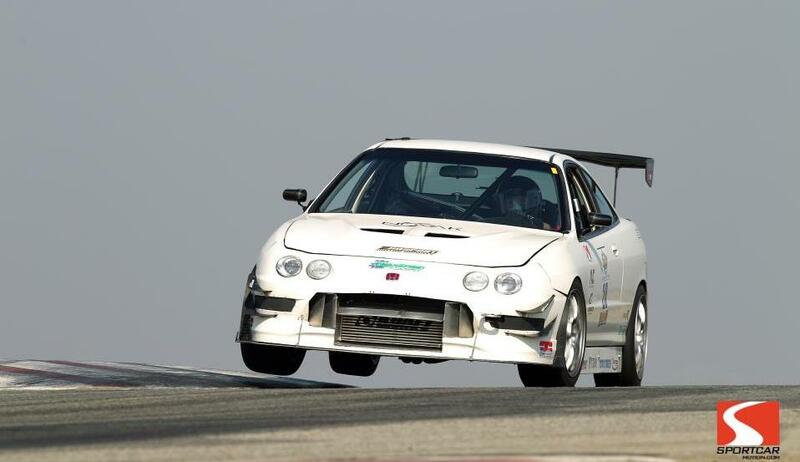 The 2012 season starts back up this April with Global Time Attack. 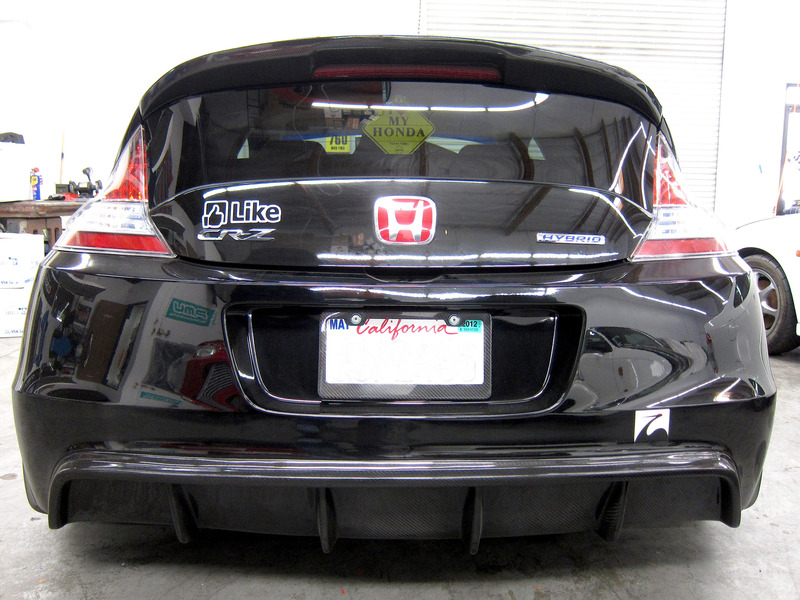 We reached the ultimate goal with the Civic Type R in 2011, adding minor adjustments to allow running a street tire at the event. 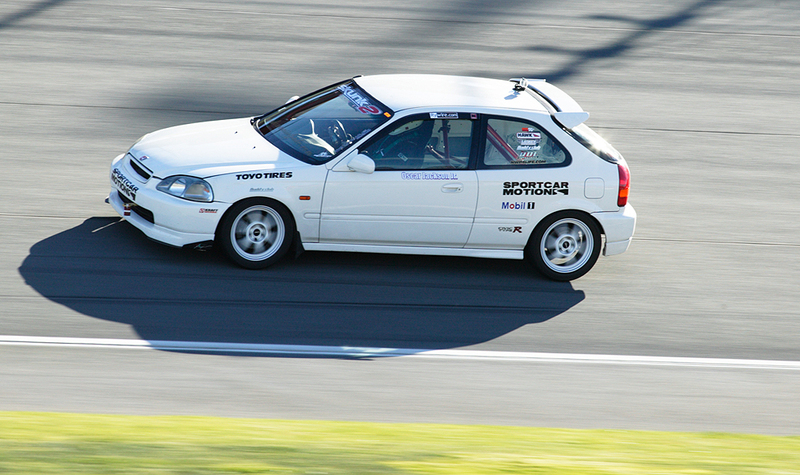 Super Street Magazine did a great full feature on the event and also the car in November. 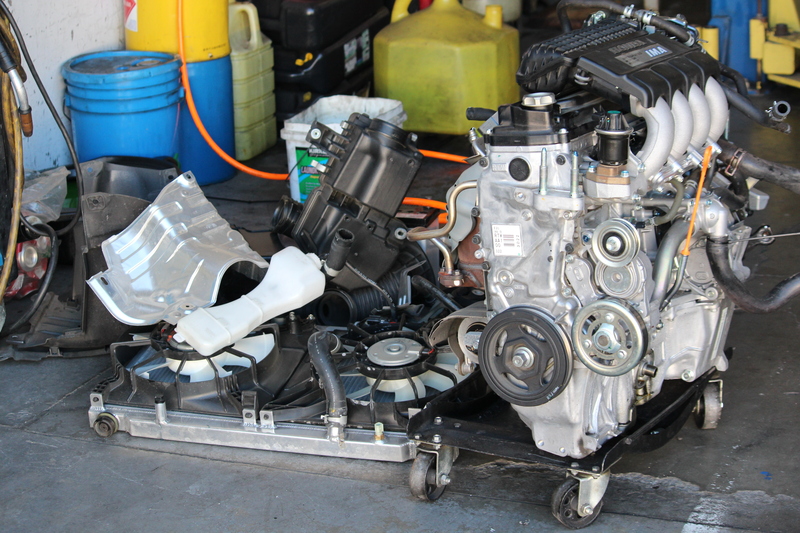 For 2012 we will be moving on to a brand new larger K24 motor. We will not be campaigning the car until mid 2012 as we are now in the process of building the new motor. 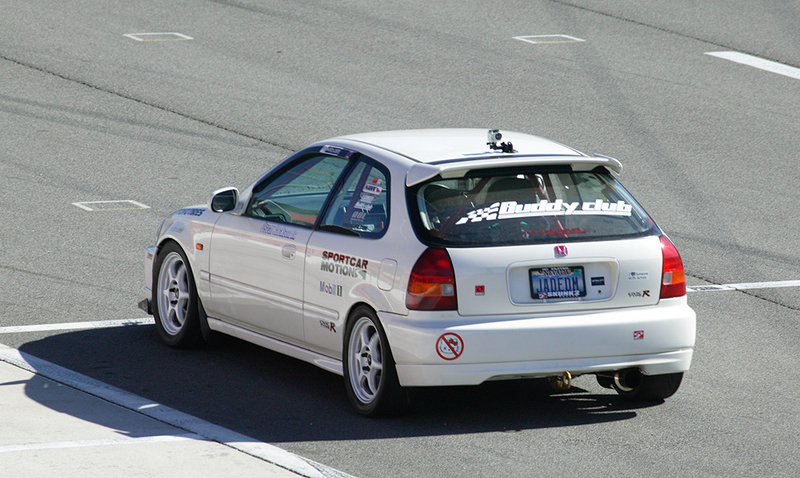 We look forward to setting some possible records with the car in late 2012. 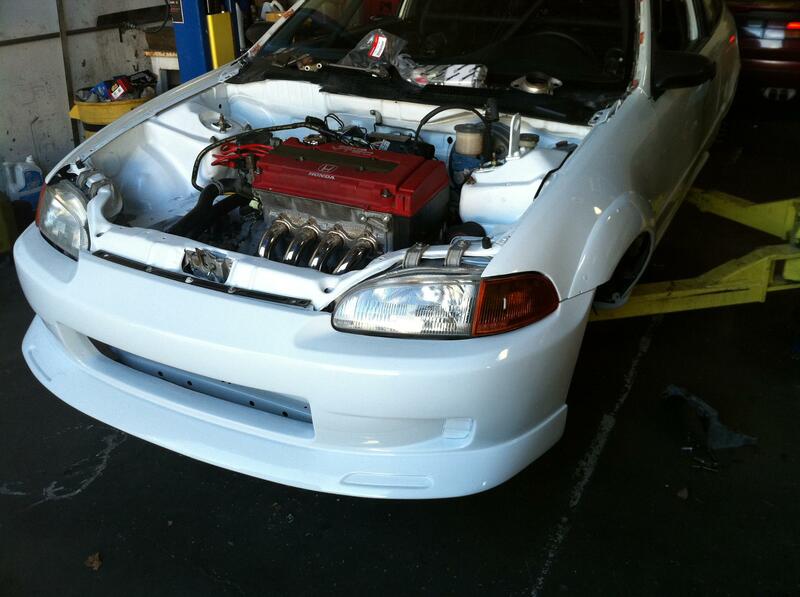 We started out 2011 working on completing our newest racecar, this one a drag dedicated EG. We managed to finish the entire car besides completing the roll cage. 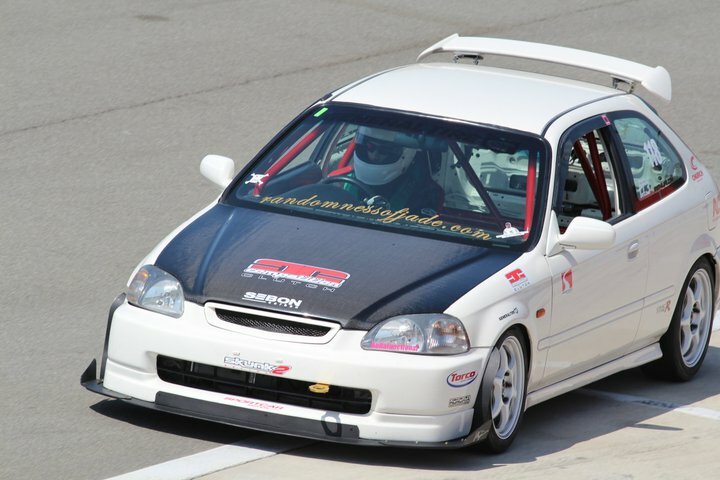 Honda Tuning Magazine did a cover feature on the car this past November. The car came out great, but it just wasn’t totally what we had envisioned for our return to drag racing. 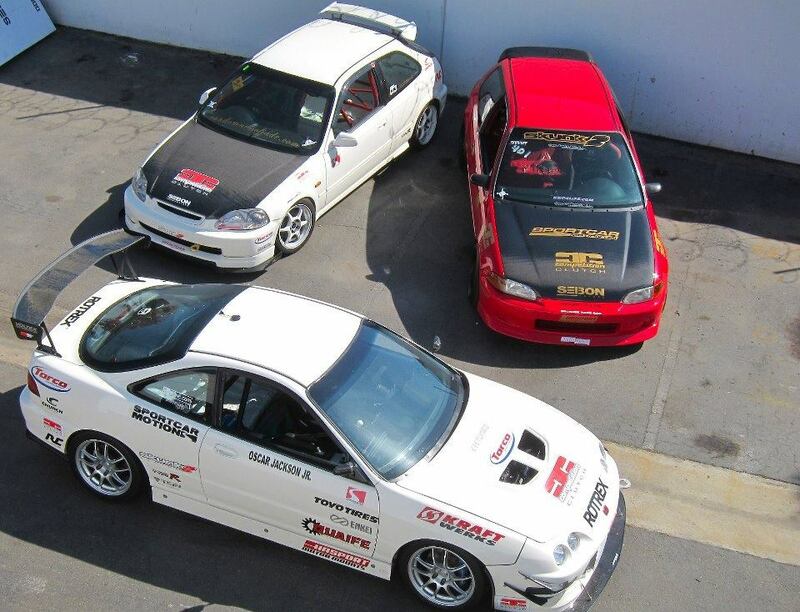 In late 2011 we decided that we would be building a new K24 turbo setup for the car pushing close to 850HP. We just recently picked up a turbo sponsor making this dream much more of a reality. The car will be complete in the next month, and will be making its debut in May of this year. 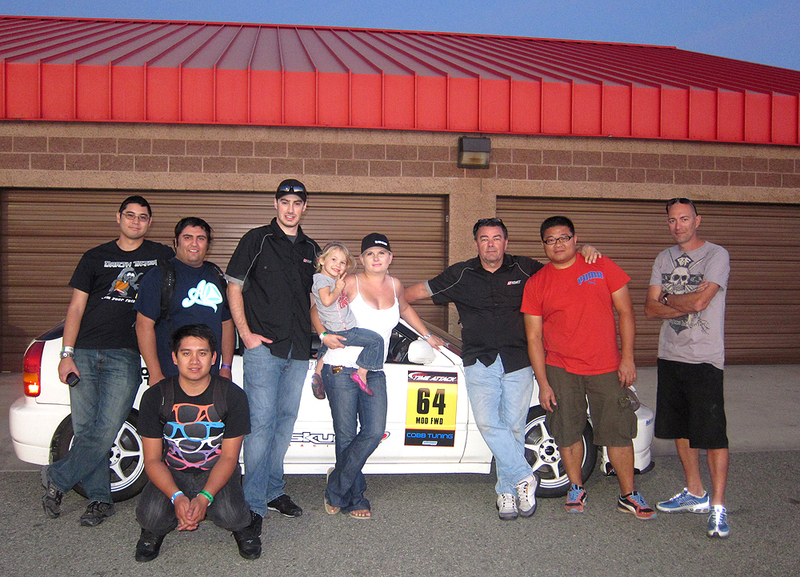 We are excited to return to what started everything for us here at Sportcar Motion. Other then our own stable of cars around here, we have quite a few exciting customer owned projects that we are working on. 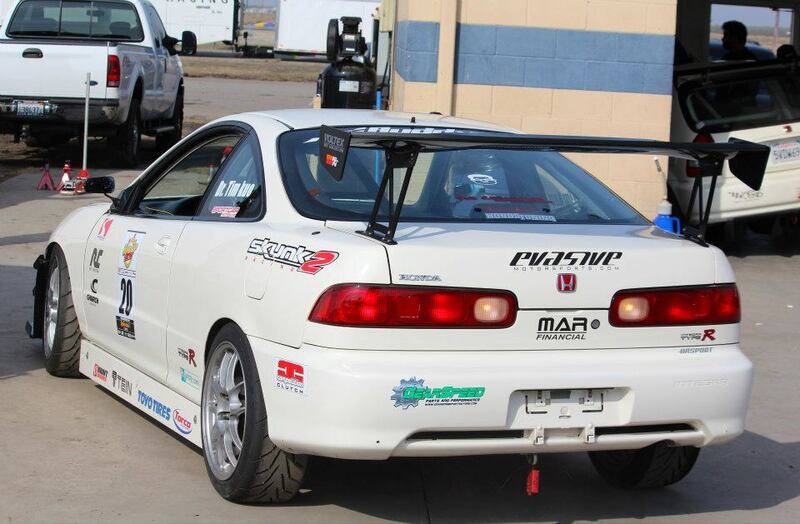 Currently wrapping up Renzo Marsano’s time attack EG “white donkey” with its new B-pow setup! Also, currently working on Renzo’s newest project SI. 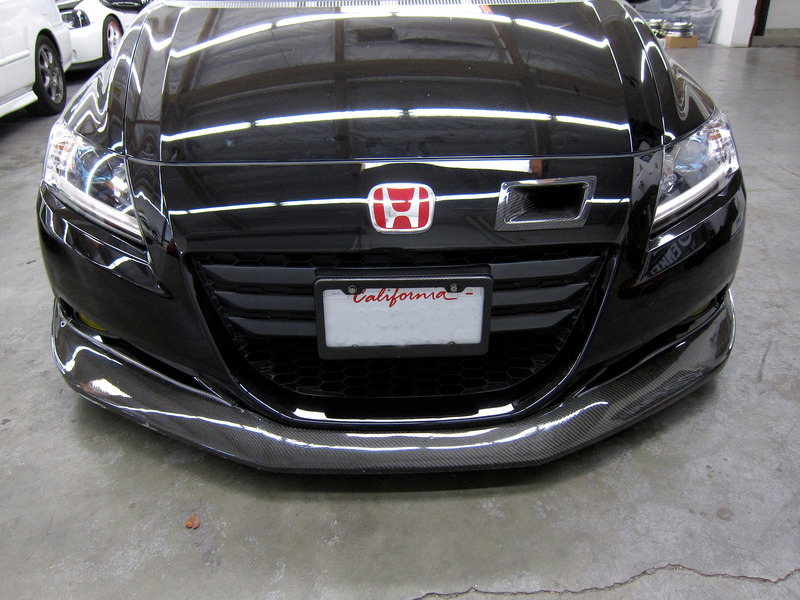 And, the most unique project we are proud to be working on currently is Daniel Herrera’s Honda CRZ, project: dirty hybrid! 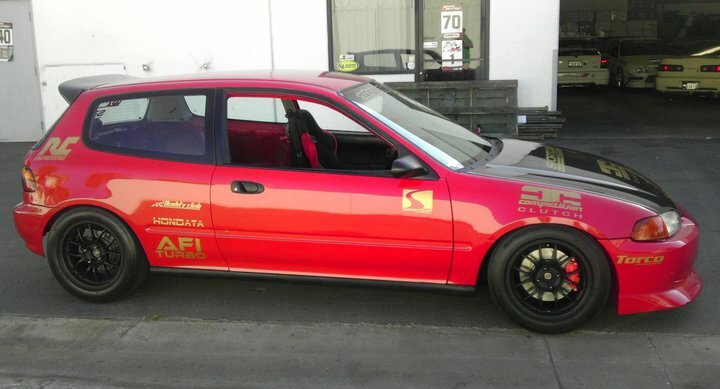 This project showcases the innovation of Honda in the past decade. We are very excited to share the project with everyone soon! We are extremely proud of our accomplishments in 2011, and are really looking forward to setting some new records and accomplishing some pretty big goals here in 2012! This past week marked the end of the racing season for us. As every November is always cramped full of events, every season end is always a bit tricky. 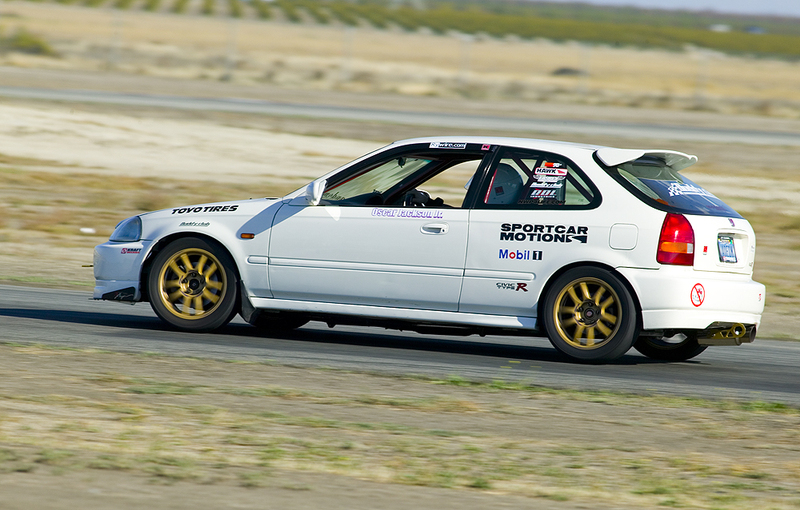 The week after SEMA always marks the Super Lap Battle final out at Buttonwillow, and this year Redline Time Attack final was that same week. We had a week straight of racing! We decided that we were going to change things up a little bit for the season closing events. 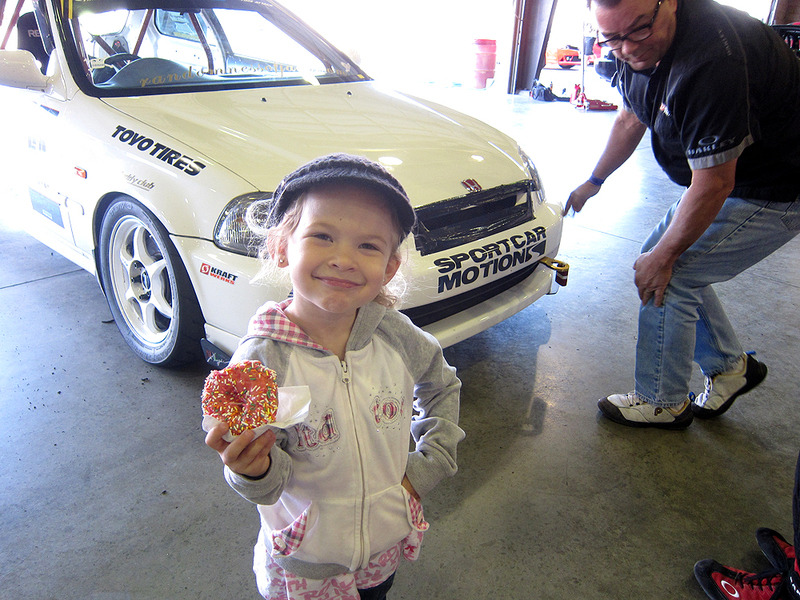 we decided we were going to bring out our CTR to end the season. 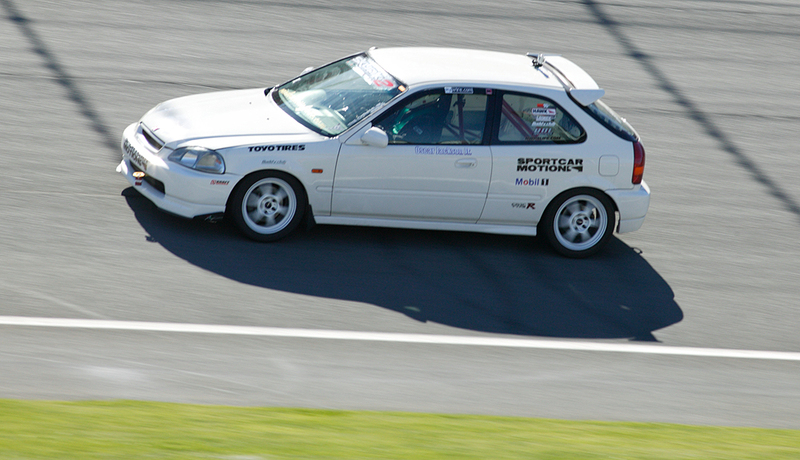 This marked the first Super Lap Battle and Redline Time Attack event for the car. This past season the car was a chosen contender for the now annual Super Street Magazine FF Battle. Due to an unfortunate injury this year in a car accident, the schedule for the car was pretty much non-existent. 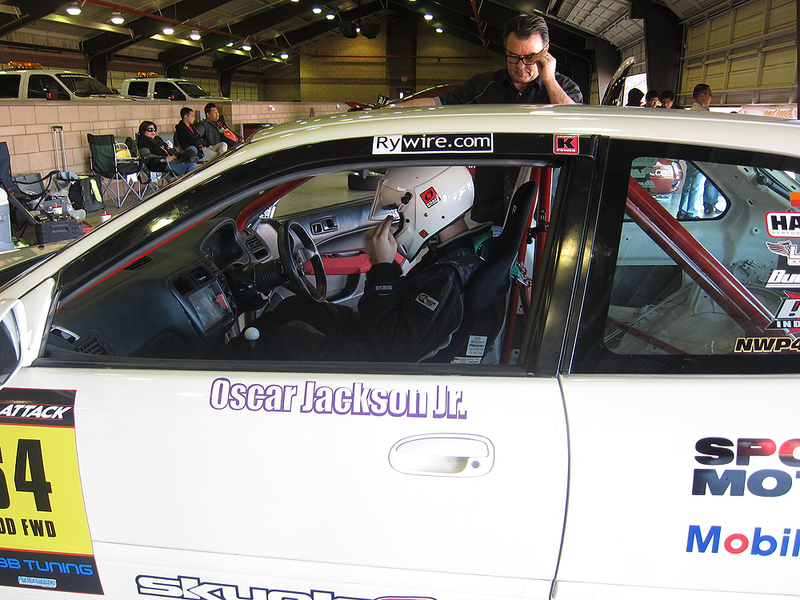 We asked our good friend Oscar Jackson Jr. to step in and pilot the car for the FF Battle. 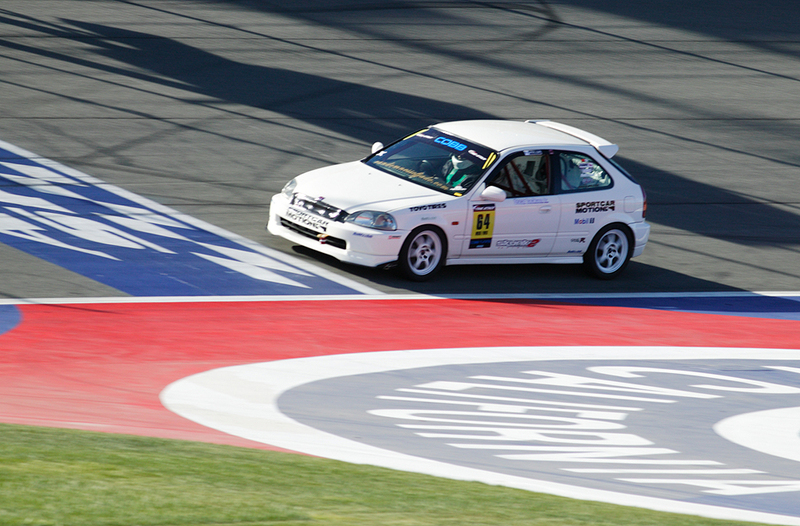 Oscar was very comfortable driving the right hand drive chassis, and did extremely well out there for the event. Following our successful FF Battle appearance, we decided we would take the car back out for the last two events of the year and show everyone a teaser of what is in store for next year. Super Lap Battle didn’t turn out as great as we had hoped, as we ran into some electrical concerns on day 1 of testing. During the second session, the car lost power and had to be towed back to the pits. After troubleshooting the issues as best as possible out there, we packed up early on day two so we could head back to the shop and get the car up and running for Redline. After quickly getting the electrical concerns squared away, we were headed back out to Fontana for the season’s last event at California Speedway. Oscar Jackson Jr. and Sr. were both again on hand for the event. Despite a rough start to the week, we did exceptionally well out on the track. Extremely strong winds made the event interesting for all the cars out there. Times seemed to be about a second slower for the majority of the cars out there driving in the rough winds through out the weekend. Finally, towards the end of Sunday winds started to die down a bit. Jr. was out running consistent times all weekend, clearly running about 2-3 seconds faster than the competitor. 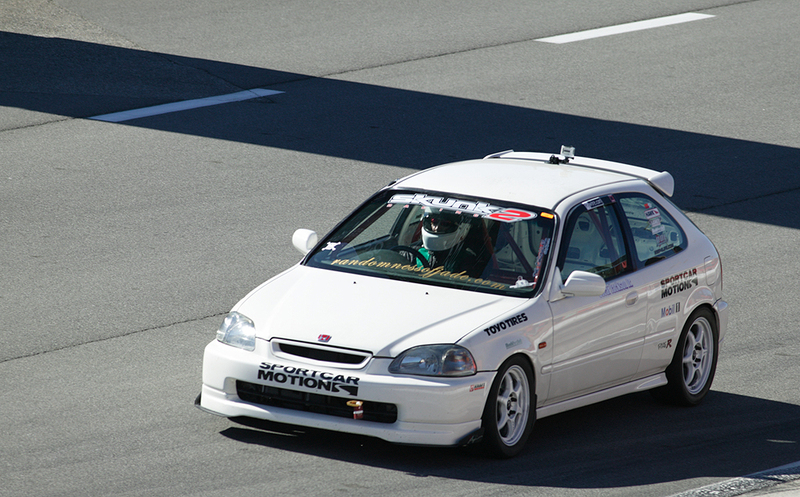 During the last session of the day, the competing car broke out and had a great lap,passing us by only .6 of a second! The teams were all on their toes during this last session! We closed our season with a second place win, also our first trophy for the car so far! 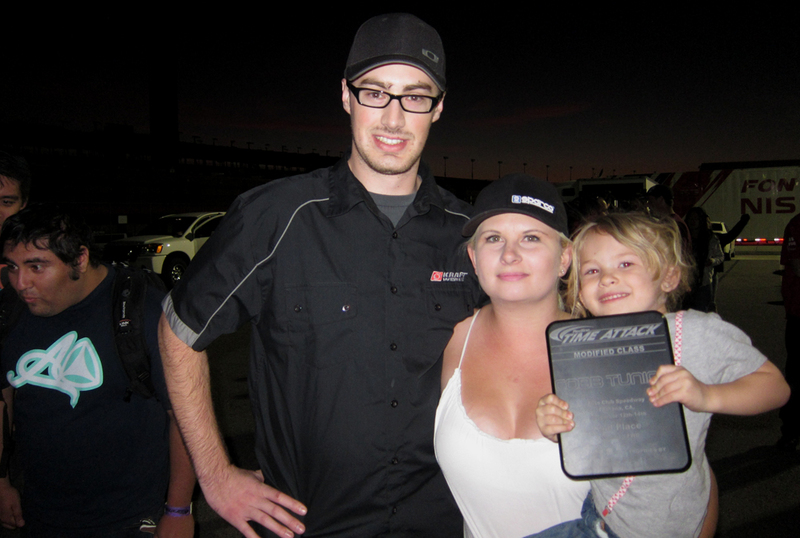 We were extremely happy just with the performance of the car itself, let alone the win! With suspension still being dialed in and this only being our second time out on the track, we were very happy with the end result! The engine setup itself is very mild pushing the mid 200’s in horsepower on a 2 liter. What we have learned over the years is that, it’s not all about pushing big numbers. It’s about setting up the chassis right, and being consistent. This engine setup is more than enough to be competitive in our class, as we have proven exactly that during this last weekend. Don’t be expecting us to be swapping our 2 liter out in this car for a 2.4 anytime soon! We don’t have to! But, do expect we will be back out next year with the car, and look forward to the new season! A successful weekend doesn’t come with out help! Skunk2 Racing , KraftWerks Performance Group , BuddyClub USA ,Laskey Racing ,MAR Financial, K&N, Rywire, Hawk, and Toyo Tires. Oscar Jackson Jr. and Sr., Kai Kai, Renzo, Dallas, Chris, Mike, Wytt, Nop, and everyone who helped us have a great end to the season! Well, it’s about damn time right? We finally woke up from 1999 and realized it’s 2010 and time to start blogging! We will be utilizing the blog to help keep you guys up to date with what we are working on, track schedules, what is in store for the future, and well of course a little randomness! Be sure to make this one of your weekly sites to catch up on! -The website is currently being re-vamped with new products and a some minor changes to make it more user friendly! -An Official SCM meet is being scheduled! -Many new changes for next season’s racing schedule and lineup of cars! 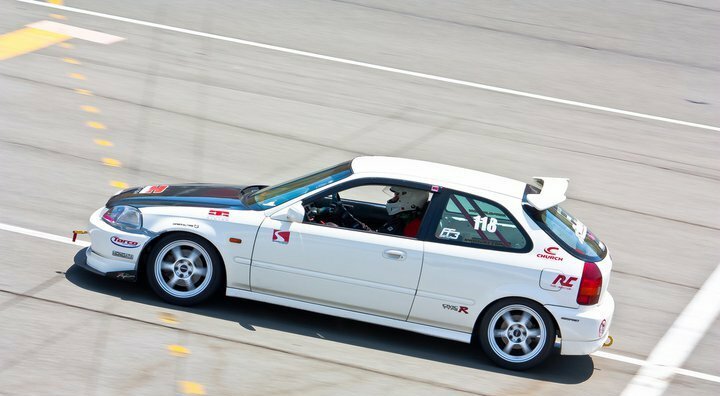 The time attack season just came to a victorious end this last weekend, stay tuned for our coverage of Super Lap Battle and Redline Time Attack tomorrow!